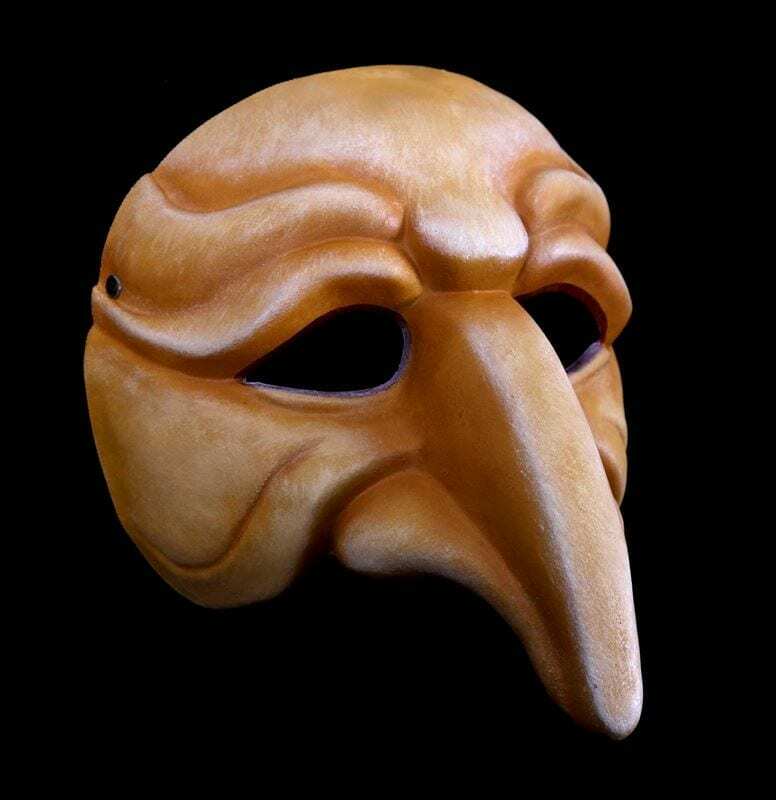 The Zanni 4 mask is a commedia mask of traditional form and appropriate ridiculousness. The zanni characters of the Comeddia dell’Arte are responsible for comic business and all general idiocy in the scenarios as they develop. These unnamed characters are heart and brainless quality of the plays. 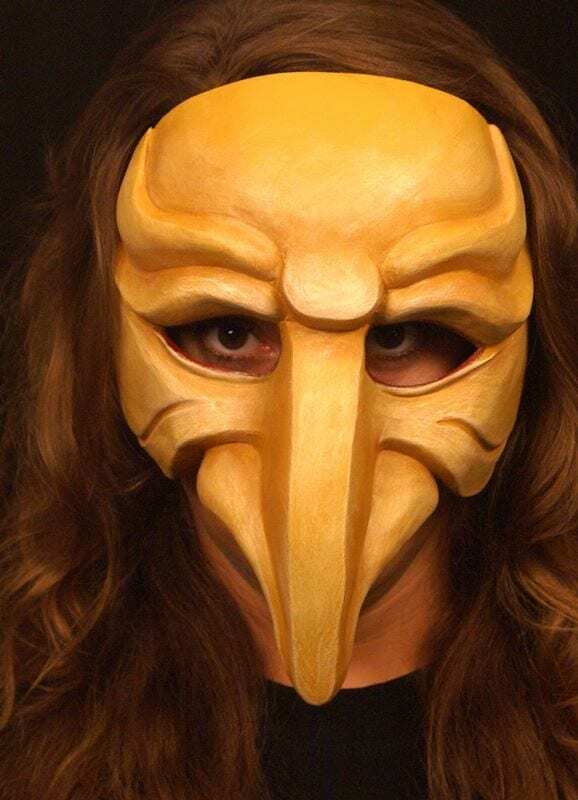 This particular Zanni mask was created for a dance company working on commedia inspired physical comedy dances. The long nose is a traditional characteristic of this class of mask. 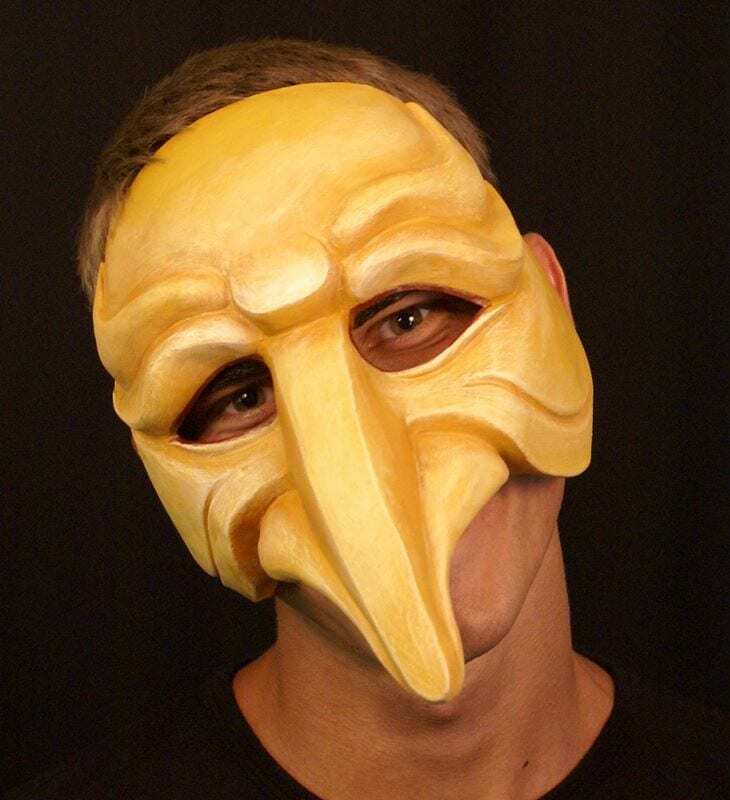 This half mask is a great addition to any collection of commedia masks for performance or actor training. Ask about custom paint treatments or add ons such as feathers and hair. Ridiculosis is a commedia mask of traditional form and appropriate ridiculousness. The zanni characters of the Commedia dell’Arte are responsible for comic business and all general idiocy in the scenarios as they develop. These typically unnamed characters are the heart and brainless quality of the plays.